This was his first visit to Birmingham since becoming musical director of the London Symphony Orchestra and the audience gave him the kind of rapturous response reserved, one suspects, for him alone. 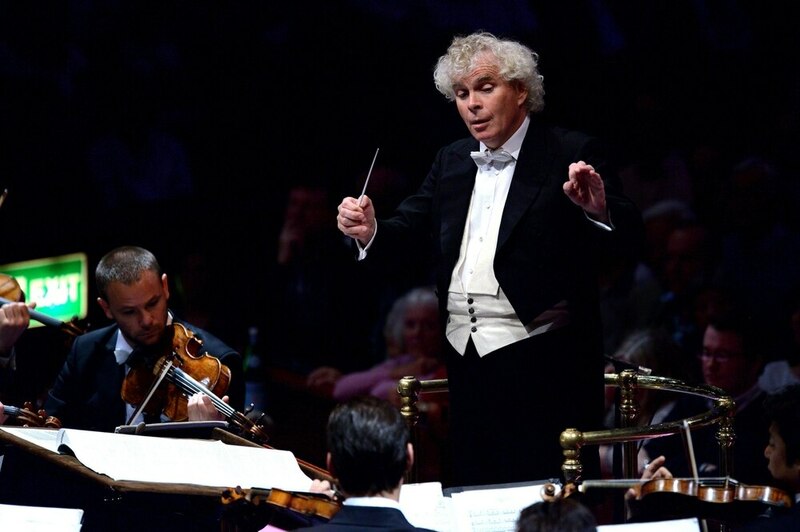 Sir Simon Rattle placed a hand over his heart during the third encore and broke the habit of a lifetime. "Ladies and gentlemen," he said raising his hands for quiet. The audience fell silent in a heartbeat, like an orchestra following the maestro's lead. "I never speak," he announced. "But allow me this moment of sentimentality." The Liverpool-born adopted Brummie joked that his thoughts were very much on tonight's Liverpool versus Roma game, but he went on: "For me this is a home game, and I want to say how wonderful it is to be here with one of the greatest publics in the world with my new family." Rattle was returning to the sumptuous Birmingham Symphony Hall, built largely as a result of his leadership and inspiration during his 18-year tenure with the CBSO between 1980 and 1998 – and conducting Mahler, the composer whose works with whom he is most identified. It was a night that ticked all the boxes. Rattle once said that the music of Mahler never needed any translation for him - it just made sense. Clearly so, for he conducted the entire four movements of the composer's Ninth Symphony over 85 minutes without a score. Mahler wrote the piece after the death of his favourite daughter and a diagnosis of a heart problem that would lead to his own death at the age of 50 less than four years later. The Ninth would be the last symphony the composer completed and is routinely described as 'death-haunted'. But in Rattle’s performance the farewell was spirited as well as tender, characterised by crashing climaxes as well as heart-stoppingly still interludes. The LSO, to this untrained ear, was in dazzling form and its new boss as dynamic and exciting to watch as when he first arrived in the city as a tousle-haired 25-year-old nearly four decades ago.